First, What Is Bad Credit? Some lenders use your credit score (and some other factors) for determining whether they will lend to you. Almost everyone has a FICO score which ranges from 300 to 850 — that is used by lenders to determine the likelihood of you repaying a loan. Scores around 620 or lower often are designated as the “bad credit” range. This means if your score is in the lower range, it is likely any traditional lender, like a bank, will not consider lending to you. How Do Bad Credit Payday Loans Assist in Emergency Situations? Don’t let your bad credit report be a stumbling block to getting emergency cash. You may have a car that needs repair so you can get to work, or an old education bill that is due now, or some payments that aren’t covered by your current bank balance and you need to avoid a bunch of NSF fees that could add up to hundreds of dollars. 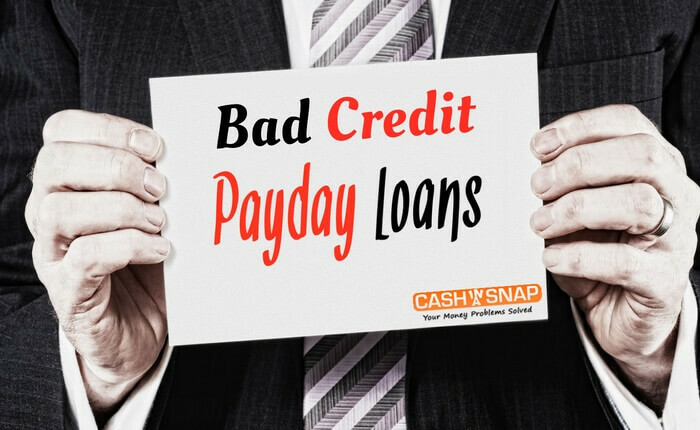 You don’t need good credit to get a payday loan. Payday lenders use a different set of criteria to determine your qualification for a loan and credit score is just one of many factors. If you have bad credit and want short-term loans for financial emergencies, you can consider bad credit payday loans. Kimmy Burgess is the Manager of Cash in a Snap, which helps clients get connected to its large network of reputed lenders to get a same day cash advance when they need it most.